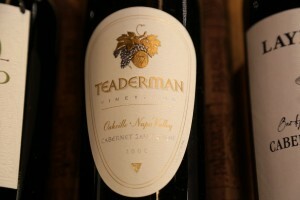 Teaderman Vineyards is owned by Stan and Patti Teaderman. While born in Berkeley, Stan is a long time resident of Napa – since 1947 who has been exposed to viticulture and the wine industry for most of his life. He co-founded a propane gas business (headquartered in Napa), runs one of Napa’s premier barrel storage facilities for premium wineries (Napa Vintage Storage) and developed the Allied Clean Fuels Plaza (south of the city of Napa). 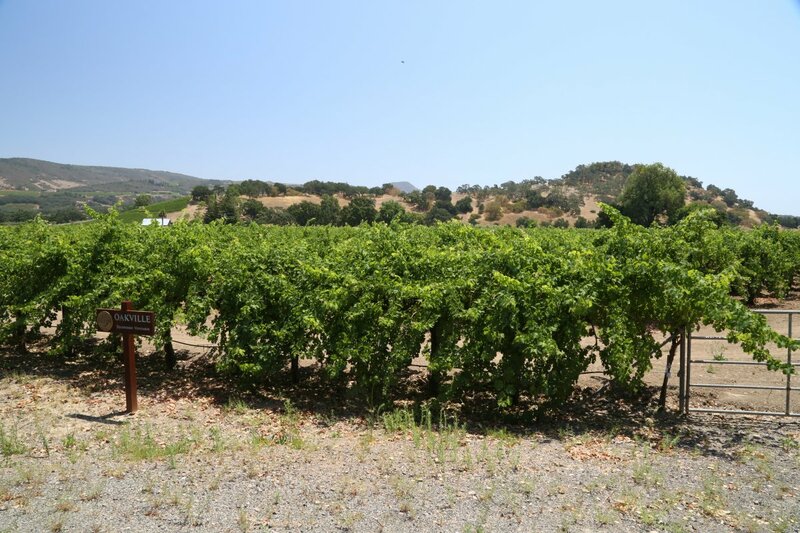 Their 14-acre vineyard was purchased in 1978 to help satisfy Stan & Patti’s long time passion with wine and is located in the heart of Oakville; this is prime Napa Valley vineyard terroir. As a long time Napa grower and vintner, Stan’s enthusiasm and energy regarding his own wine is clearly evident, almost as if he was just starting out in the industry! His nearby neighbors are Silver Oak, Groth and Screaming Eagle. This land was never planted to vine and initially Robert Mondavi helped them develop the vineyard which was planted entirely to Sauvignon Blanc for one of Mondavi’s wines. 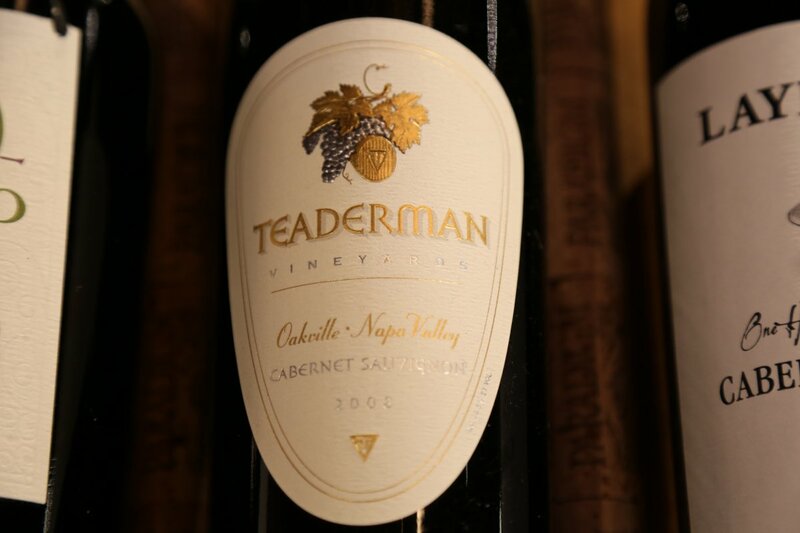 Seeing how nice this wine was, Teaderman held some of the fruit back for themselves and released their first commercial vintage in 1995. 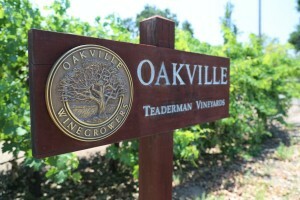 However, since they are in the heart of Oakville, they are in prime Cabernet Sauvignon country. Furthermore, consider the fact that they have the same gravel soils and similar terroir to nearby Groth winery who under the wine making skills of Nils Venge produced the first 100 point rated Cabernet Sauvignon from Robert Parker. Also in the late 1980’s and early 1990’s a nasty little bug called phylloxera infested a number of Napa’s vineyards. At this point the timing was right and they converted over half of their vineyard to Cabernet Sauvignon and sold these grapes for a number of years to a nearby winery. Then in 2001 under the tutelage of the late Justin Meyer of Silver Oak Cellars, released their first vintage. Today Teaderman employs two well-known Napa winemakers. Nearby Silver Oak’s philosophy regarding aging has rubbed off on Teaderman. Their wines are aged much longer than most Napa wineries and typically receive at least 2 years in the bottle before being released. 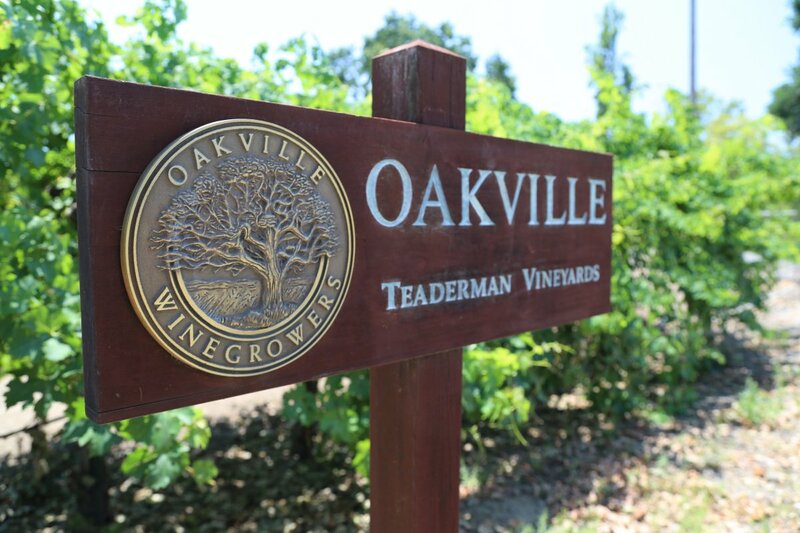 The Teaderman’s and their winemakers taste the wines over a period of time to determine when they are ready to be released based on aromas, flavor, balance and the wine’s overall integration. Not many wineries are able to have this type of lengthy aging program, but this is certainly not a bad thing from a consumer point of view. The 2004 Sauvignon Blanc is a golden straw color with nice mineral notes on the bouquet which open up to more honeysuckle and tropical aromas. The palate is slightly creamy but not too much so. This wine sits on the lees for 4 months which helps contribute a certain amount of creaminess. There are nice flavors of citrus and tropical fruit overtones. There is just a touch of vanilla on the finish and the wine is certainly not over oaked; it is extremely well balanced. A yeast commonly used for Champagne wines is used and the wine was bled into the barrels slightly sweet where it finished its fermentation. In the same philosophy as their Cabernet Sauvignon, their Sauvignon Blanc is also allowed to age further and at the time of our tasting this wine was their current release already at 4 years old. We started our tasting of the Cabernet Sauvignon with the 2001 vintage which was their first commercial release. Time in the bottle has treated this wine very well. It has an elegant fruit driven nose with notes of dill; the core of the palate contains rich fruit including blackberries and blueberries with supporting layers of tobacco and leather. The mouth feel is wonderfully balanced with tannins that are well integrated, smooth and silky. You will see some sediment in their Cabernet Sauvignons and the reason for this is they are minimally filtered which helps maintain maximum flavor. The 2002 is their current release. The nose is slightly less fruit driven than the 2001 vintage and contains nuances of mint and other herbs. The palate is slightly tart with lively acidity. In our opinion, this is the nicest of the three vintages for pairing with food. The 2003 while young by Teaderman’s standards is drinking extremely well and we tried it before it had even been released. There is a rich concentration of fruit both on the nose and on the palate. Very earthy aromas representative of their particular terroir grace the bouquet along with notes of tobacco and vanilla. The smooth soft palate is well layered with flavors of blackberry and black cherry. The tannins, while delicate are well integrated into the wine and help support the lengthy finish. Note: Stan is also responsible for the Allied Clean Fuels Plaza located at 231 Devlin Road (just south of the city of Napa) and highly visible from Highway 12. This plaza features 8 Tesla supercharger stations where Tesla owners can park and charge their vehicles free of charge. 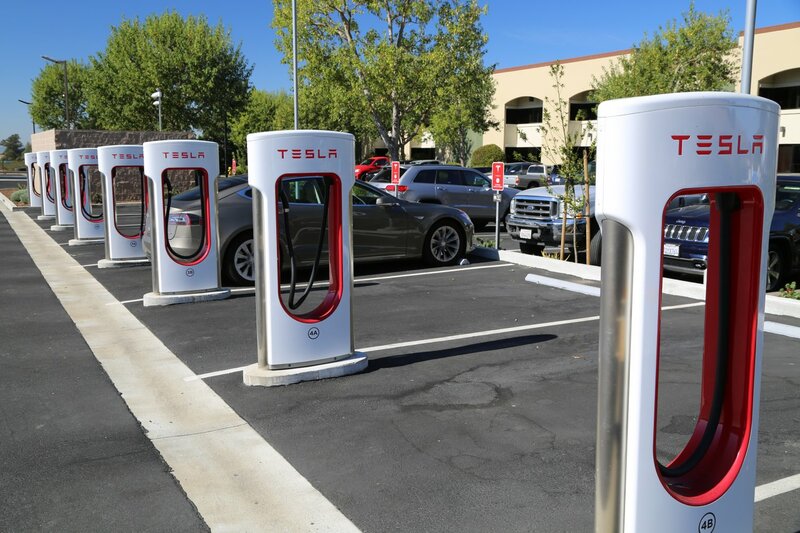 Many Napa wineries have already installed Tesla chargers but those charge the vehicles much slower then these super chargers. Several other electric charging stations are available for non Tesla vehicles. The plaza also sells clean-burning fuels including propane Autogas, biodiesel, liquid natural gas and compressed natural gas.